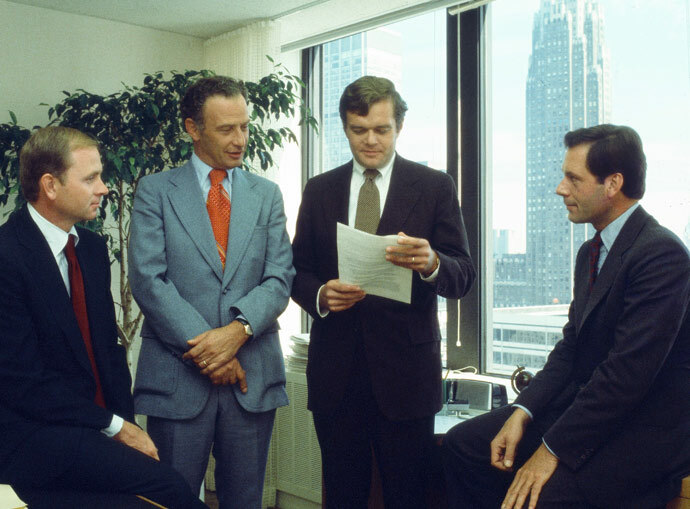 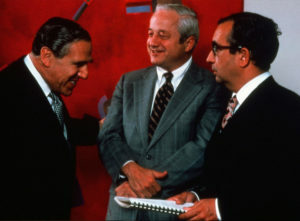 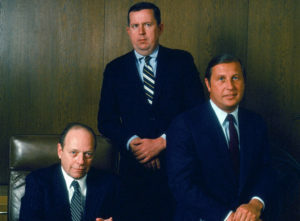 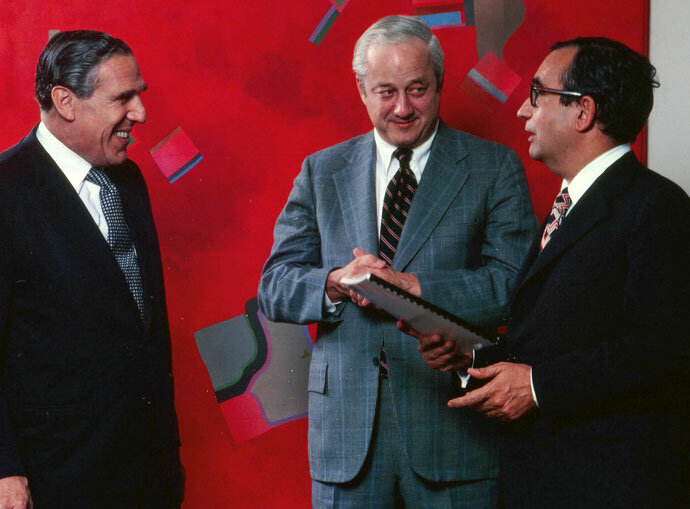 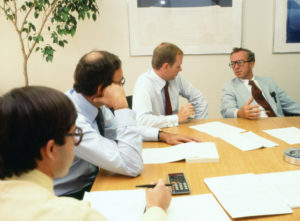 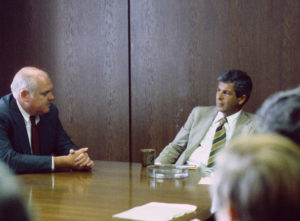 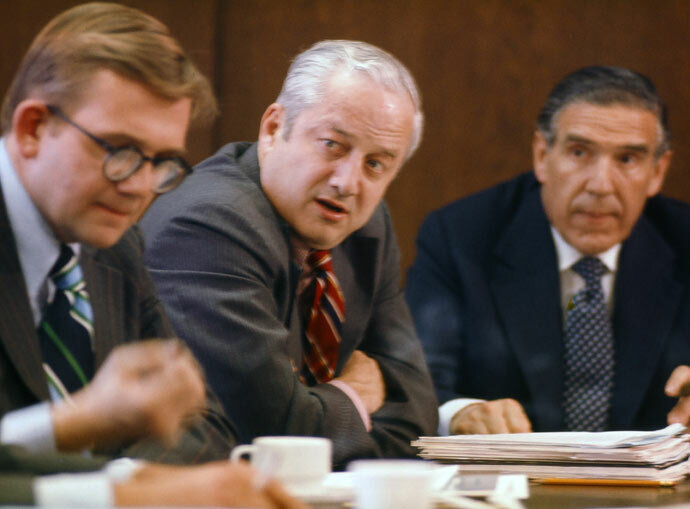 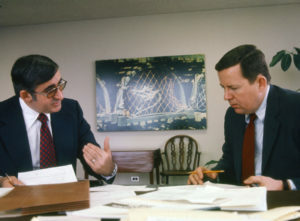 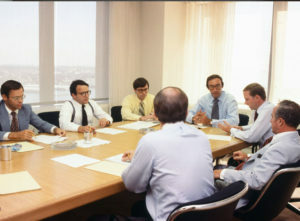 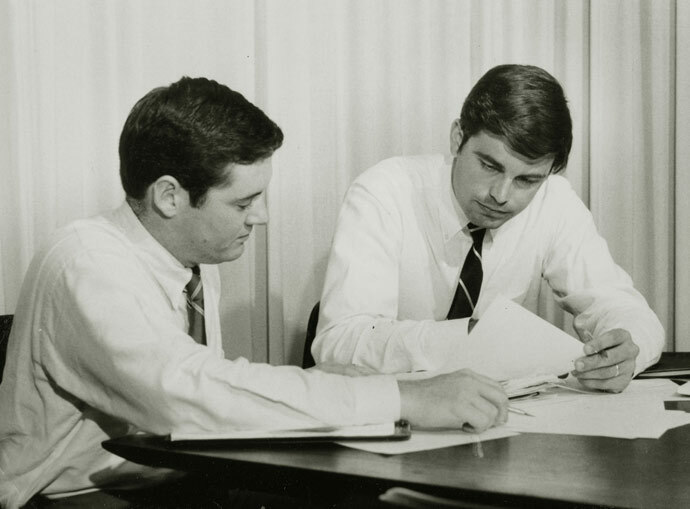 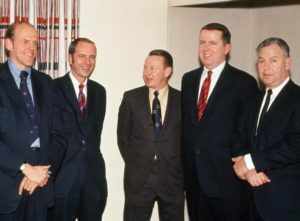 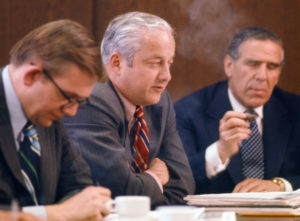 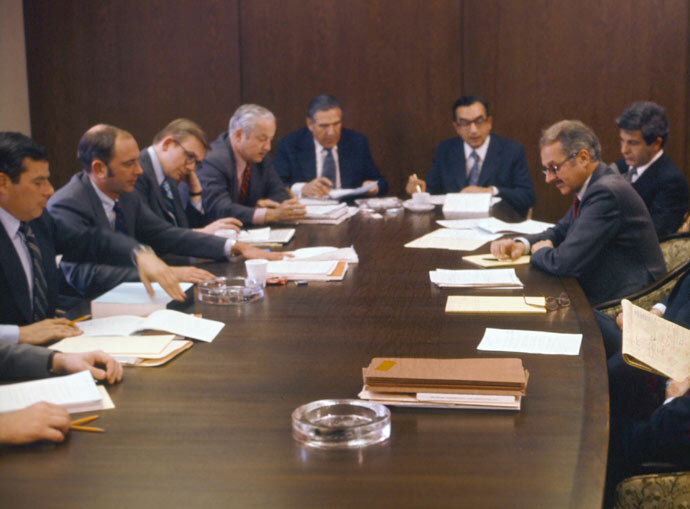 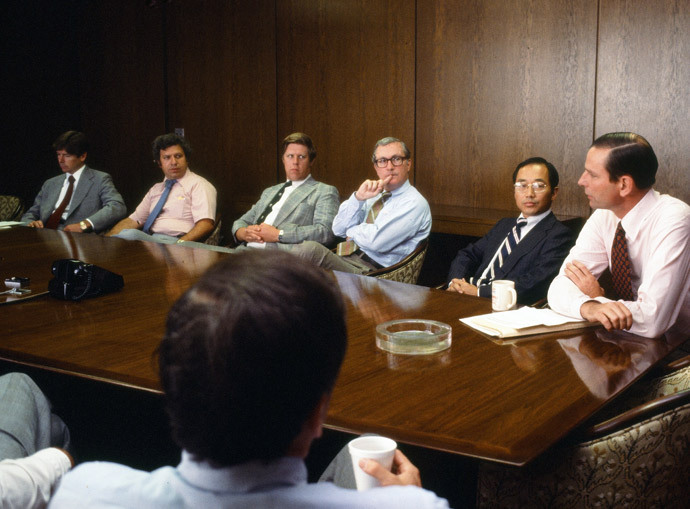 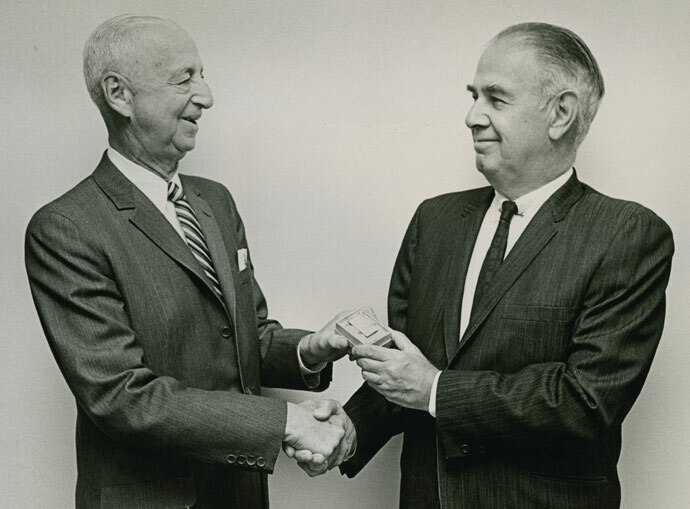 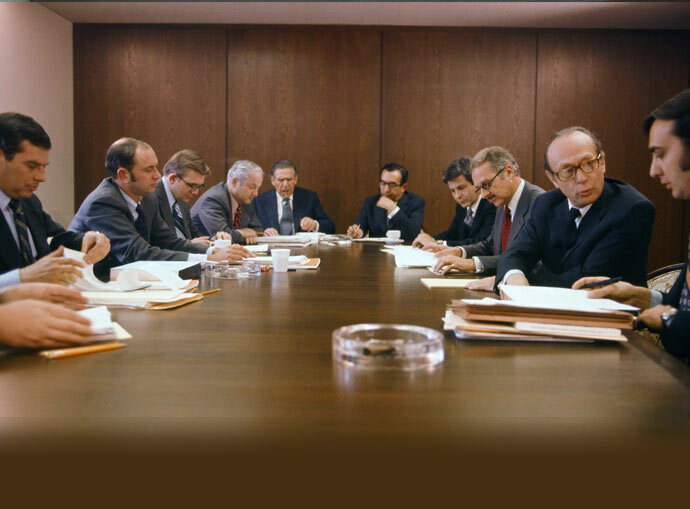 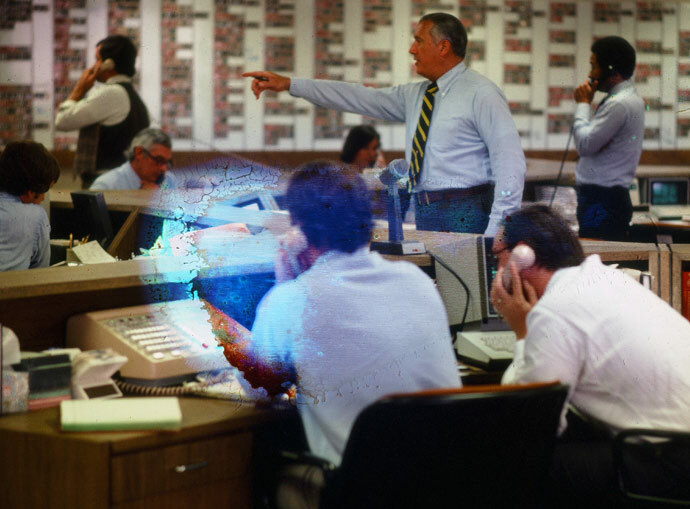 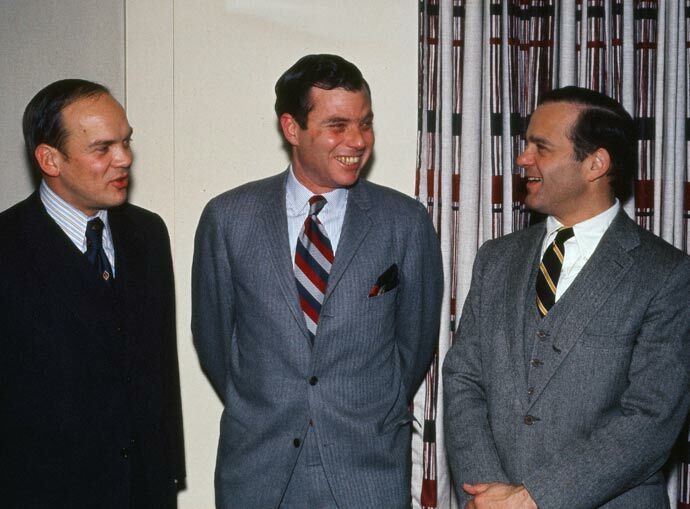 The archives contain a number of photos of individual employees, and in various groups, over time, including the Board of Directors. 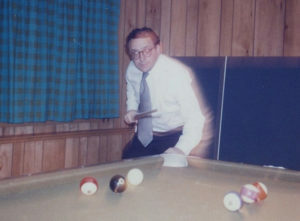 Photos of the later group have been published in a separate section of the Gallery, captioned in each case, and linked in eachapplicable Personal Biography. 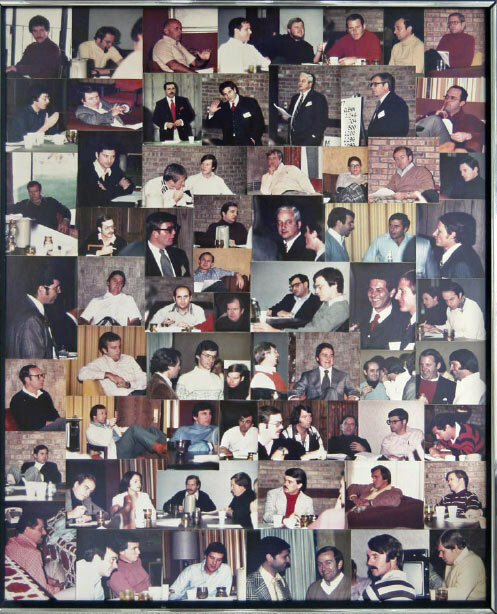 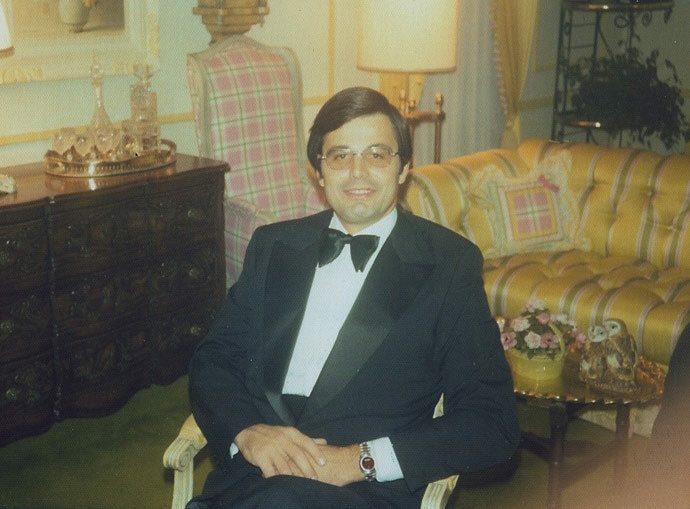 In this section of the Gallery appear a wide selection of other group photos, including two or more employees, and various settings, also linked to applicable Personal Biographies. 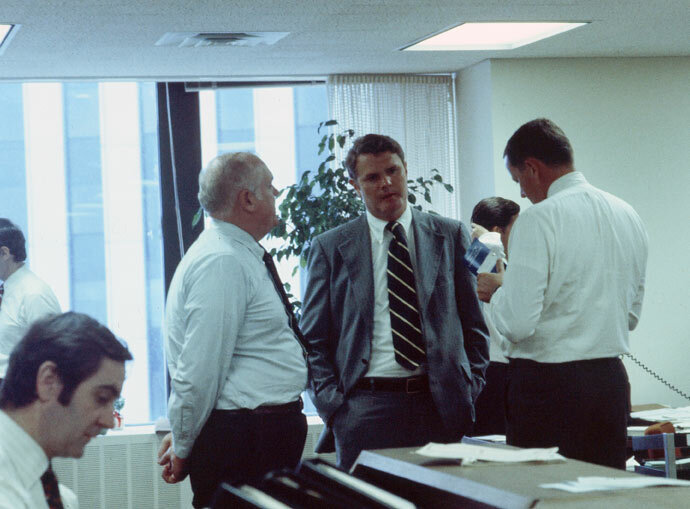 Many of these photos are from the archives and are not dated; we leave it to the viewer to approximate the date. Some photos have been obtained recently from people in the photos. 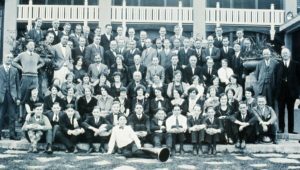 We think you will enjoy this extra set of viewings of fellow employees, or aunts, uncles, cousins, grandparents, or Becker people you otherwise heard of, or wish to see what they looked like. Good viewing! 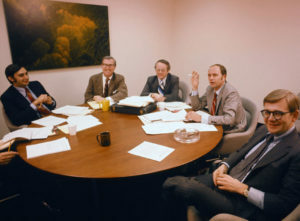 Seated across the table, from right to left: Soapy Symington, Billie Ahn, Ray Holland, Tom Matchett, Ed Russin, and Rob Rafford. 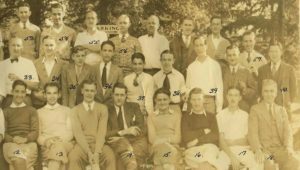 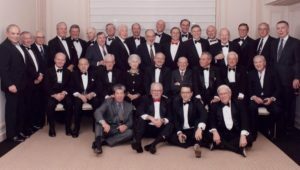 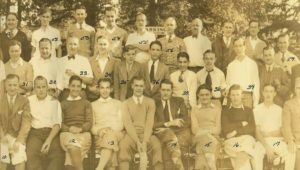 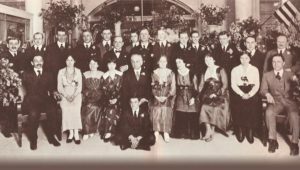 OI#404 New York Office Annual Outing Oct 13 1930 Briarcliff Lodge. 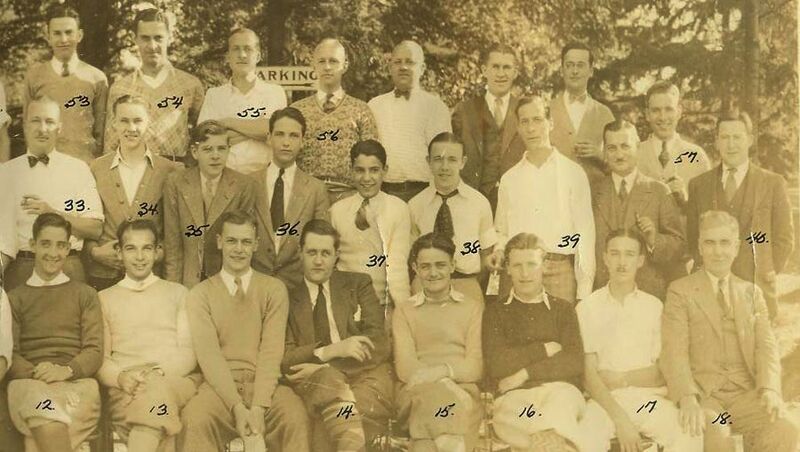 Left portion of the photo. 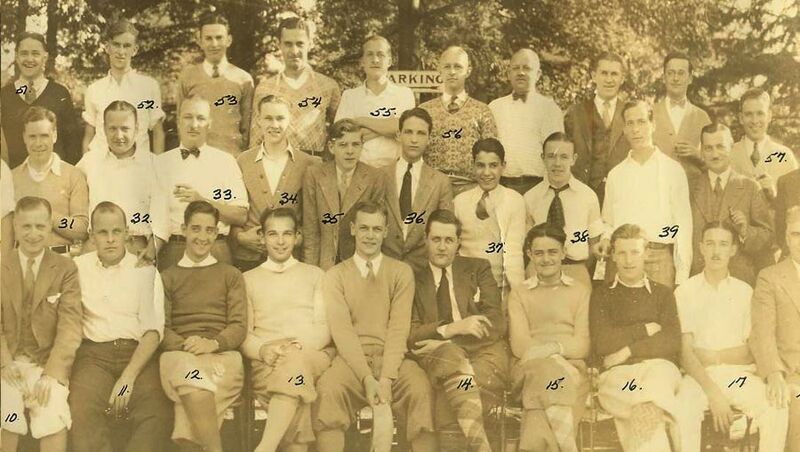 OI#404 New York Office Annual Outing Oct 13 1930 Briarcliff Lodge. 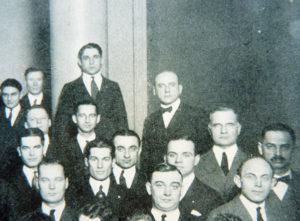 Center portion of the photo. 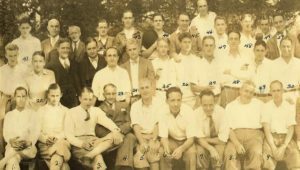 OI#404 New York Office Annual Outing Oct 13 1930 Briarcliff Lodge. Right portion of the photo. 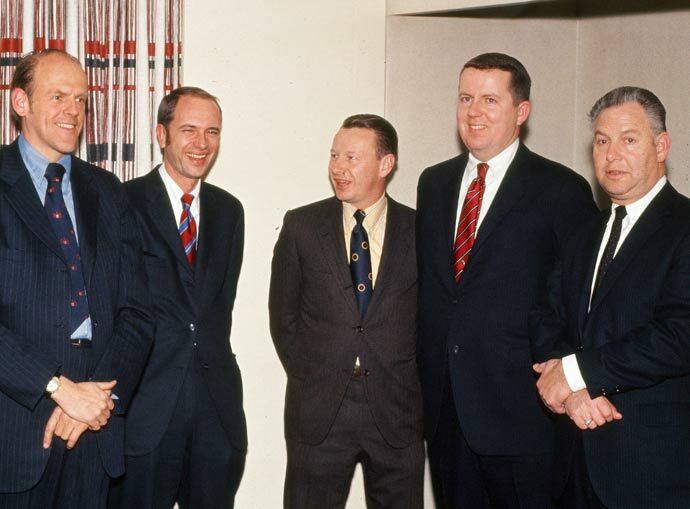 OI#408 From left to right: John Mabie, Bill Cockrum, Ken Nelson, Jack Donahue, and Mac Skall. 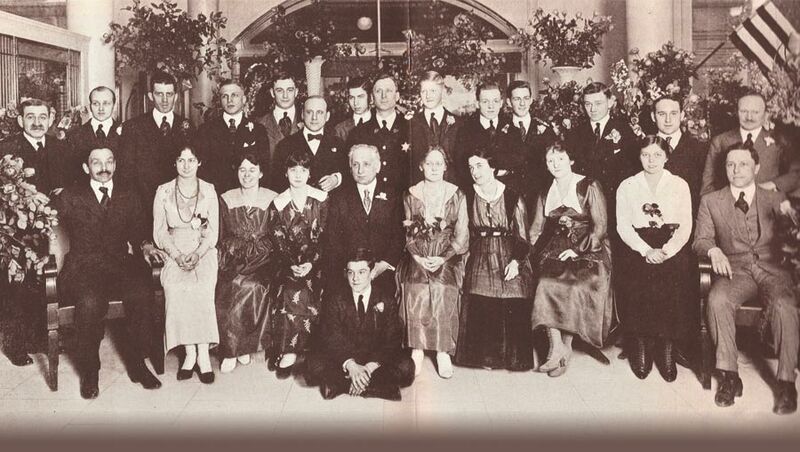 OI#409 Chicago Office early 1920s Outing at the Lake Shore Country Club -- Mr. A.G.Becker (host) in center of group. 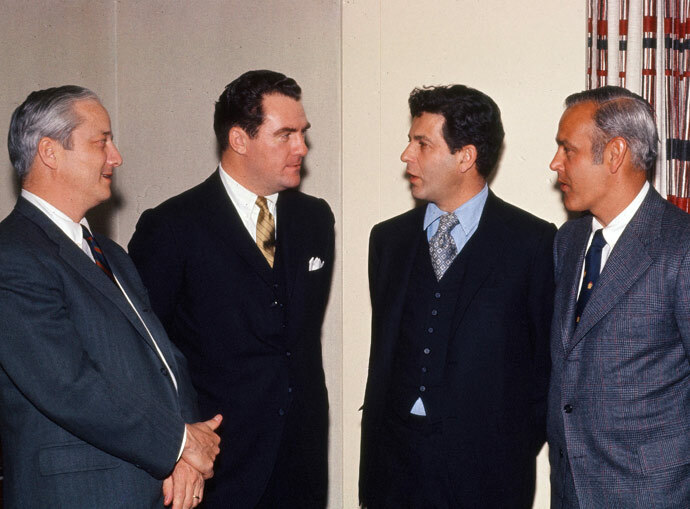 OI#410 From left to right: Paul Judy, Ray Ryan, Fred Moss, and Jack Connor. 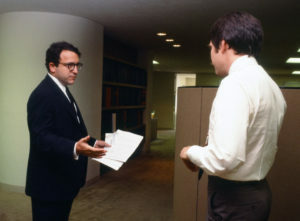 OI#412 Jim Becker congratulating Herb Schaffner on long employment. 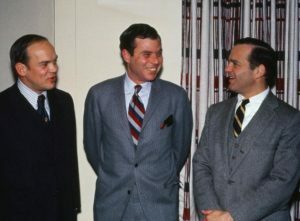 OI#461 Standing, from left: Tom York, Alan Hanley, and Jack Donahue. 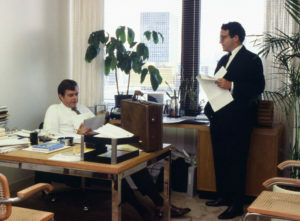 OI#422 Standing, to the left: Wender Moss, and B.Weiss; sitting to the left, Donahue, Cockrum. OI#425 Bob Karlblom (on right, as a younger man) and Jim Kennedy, on left. 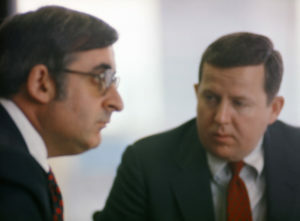 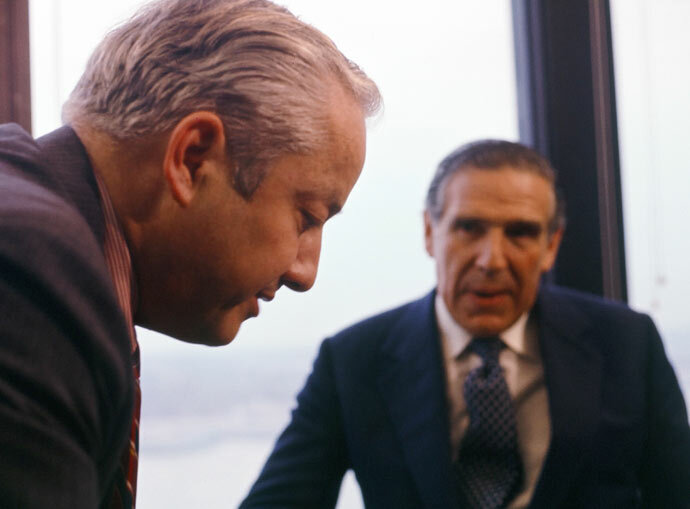 OI#424 Barry Friedberg (left) and unidentified man. 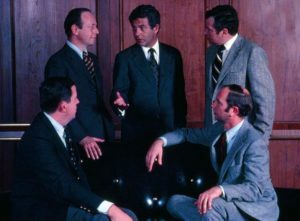 OI#430 Corporate Finance Golf Outling. 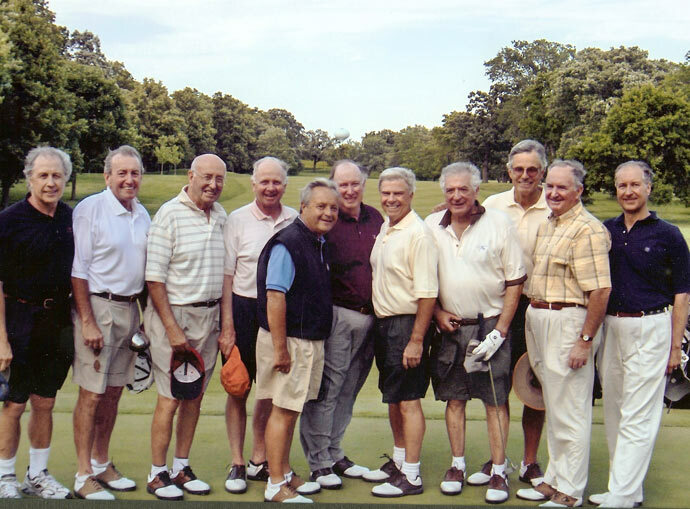 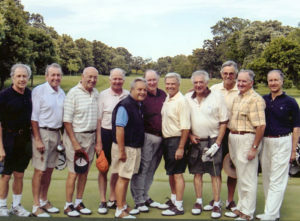 Left to right: Dan Good, Roger Vasey, Howard Christensen, Bob Nau, Tom Couglin, Doug Hayes, Howard Sodakoff, Bob Karlblom Dave Murdoch, and Steve Deli. 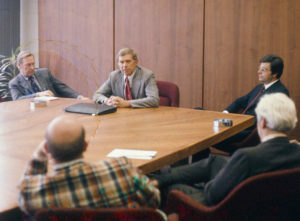 OI#459 Starting across the table at the left: Karl Hermann, Barry Friedberg, Bob Fiske, John Levy, Bob Nau, and George Morris, Unidentified person with back to camera. 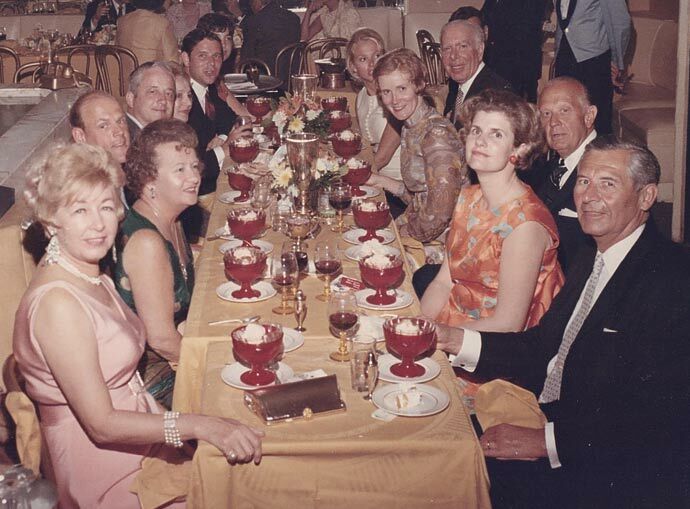 OI#403 Dinner at The Colony, Palm Beach, late 1960s: Down lefthand side of the table: TBD, Mrs. Dattelbaum, John Mabie, Paul Judy, Mrs Salvo Arias, Steve Weiss, TBD; down the right side of the table: Dave Dattelbaum, Martha Mabie, Charlie Ritter, Mary Ann Judy, Salvo Arias, date of Steve Weiss, and TBD. OI#411 From left to right: Bob Nau, Larry Michel, Milt Walters, and Karl Hermann. 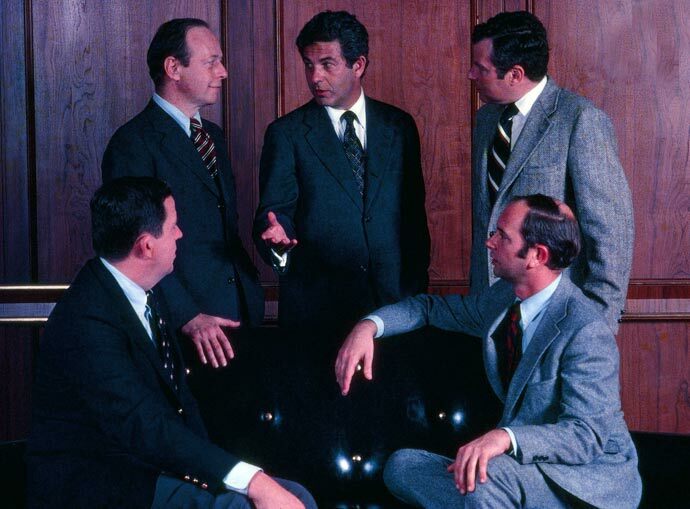 OI#413 Group turning to George Morris (far right).